Samantha Gettler has supported me immensely as I explore what I suspect to be PTSD related to Violet's death. She has shared details about her own diagnosis, provided local resources, and been my sounding board. I would be lost without her strength. June is PTSD Awareness Month, so this is the perfect time to hear Samantha's story! Welcome, Samantha! We've known each other for almost a year now, but already I'm sharing so much with you regarding one of the most difficult moments of my life because you are such a caring, inspiring person. I love how Violet has brought me new friends like you. Can you tell readers how we met? We met through Scentsy, actually.We were both consultants initially, but I have since backed out of selling because of time and energy. I still totally love the products and really need to get that party booked! Scentsy is quickly taking a back burner in my life too, as Still Playing School takes up more of my time (and passion)! Who do you share your life with? I just recently (Valentine's Day 2013) got engaged to my boyfriend Brad Schroeder. Aw, congrats! How did you two meet? We met through an online dating website and hit it off right away. I have a dog I rescued named Nelly. I have a bumper sticker that says "who rescued who" which describes Nelly and I in a nutshell. 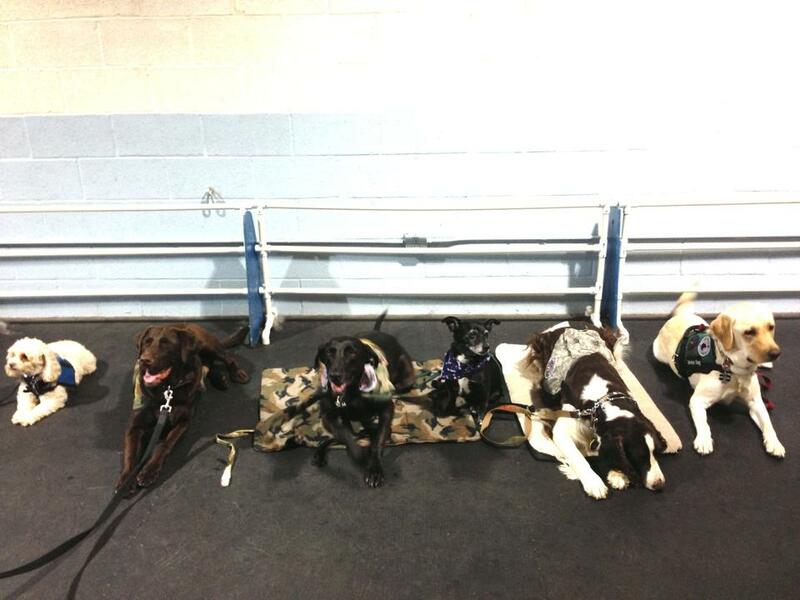 Brad also rescued his dog, Cody, from a shelter in Alabama to be his service dog. Brad suffers from PTSD related to his experiences during combat in Iraq which is partially why PTSD is so important to me. I also suffer from my own PTSD. I went to counseling for over five years to find ways to cope with my symptoms. I'm a firm believer that counseling helps with the right counselor and the right support system at home. What was your PTSD like when it started? How have you gotten to where you are now? I realized I needed help when I was angry. All the time. I was having issues emotionally connecting to people. Sometimes I'd over connect emotionally, sometimes I wouldn't connect at all. I sought out counseling. It allowed me to find a handful of coping mechanisms. Whenever I feel disconnected, overwhelmed, depressed, I have a handful of things I can do to help myself. I can't prevent or hinder my symptoms but I do have ways of working through them. What about your fiance? What was his experience like? He knew he had a problem and his family took him to the VA for help. Ideally, how do you see your PTSD in 5 years? 10 years? How do you plan to accomplish this? I manage on a daily basis. I think I'm doing pretty well and hope to continue to do well. I don't want to say I'm "healed" because I don't think you are cured. I just think you find coping skills and apply them when the situation arises. What advice can you give our readers regarding PTSD? I think that anyone who feels they may have PTSD should find a counselor/professional to talk to. It was life saving for me. My best advise in regards to counseling: It's like finding a husband. You have to feel comfortable with the person. You have to trust that person and you and that person have to have the same goals. You gave me that analogy a few weeks ago and it's really stuck with me. It's insightful to compare it to finding a partner. The relationship has to be built on trust and not just credentials. 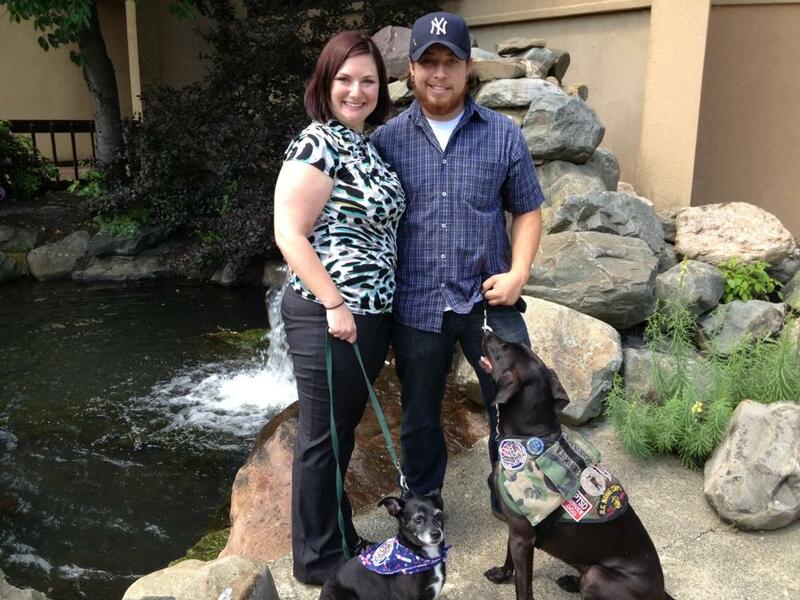 Can you tell us about your work with PTSD service dogs? 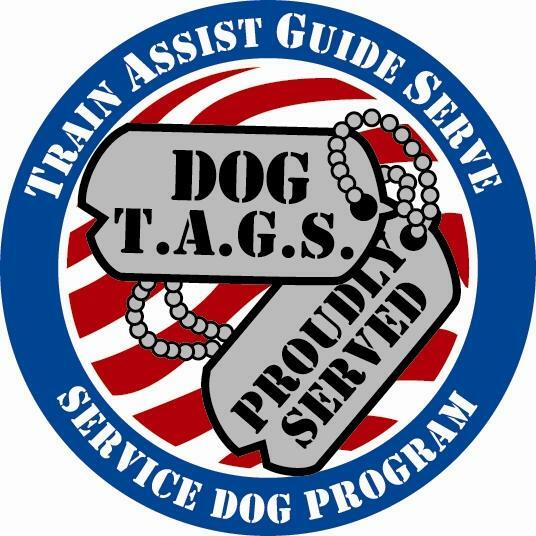 I volunteer with Dog T.A.G.S. program as a trainer. I have seen the AMAZING changes a PTSD service dog can do for these veterans. I've seen guys who wouldn't leave their house, who wouldn't talk to people, who were very secluded in their own "prison" come alive, open up and go places! It's amazing how this program has changed lives. I am so happy to be a part of something so amazing! 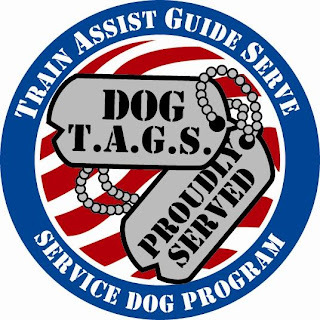 Wow, the Dog T.A.G.S. program seems wonderful! It must be therapeutic in a multitude of ways. You should be very proud of your involvement with it! What are your other passions? I don't have children and our pets are our children. Cody is also involved in flyball. 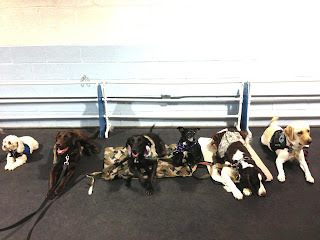 (It's a relay race where four dogs jump a series of four jumps and get a ball from a box. They are judged on passing and time.) I'm going to start Nelly in basic obedience relay course (the tunnels, jumps, tables etc.) to build her confidence. Thank you so much, Samantha. You are helping others more than you probably realize.